The Hobbit: Battle of Five armies trailer has been the talk of the town thanks to the cliff hanger ending of the Hobbit: The Desolation of Smaug besides the really long wait to catch the glimpse of the Battle of Five Armies movie . The nail Biting finish of the Desolation of Smaug where the angry Smaug sets himself out to finish the locals of the Lake Town has made people (including me) wonder how will the Battle of Five Armies begin with? It is to be noted that Smaug has been termed as the Killing machine by the Hobbit Production team indicating how bad Smaug’s wrath will be upon the inhabitants of the lake town. The trailers for the previous two installments of the Hobbit series were released in July, however, the trailer wait for the Battle of Five armies might take a little long than previous thought as per director Peter Jackson. Citing the complexity in VFX shots related to the Battle sequence, the full and complete trailer will only be available around October 2014. To cope fans out, the Teaser trailer of the Battle of five armies is completed by Hobbit Director Peter Jackson and has been handed over to Warner Bros. 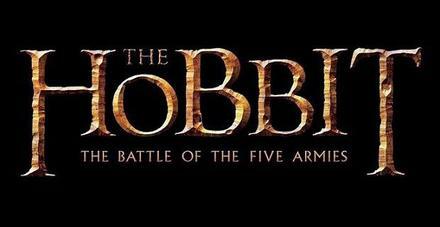 The Teaser Trailer for the Battle of Five armies is expected around July 20th, 2014. Probation Dept. Wants Lindsay Lohan in Jail!